Imperia AVENTADOR marks the third release under boutique luxury brand MLB Cigar Ventures. Despite your first inclination that MLB must be another brand marketed for a baseball superstar, the MLB name actually represents the initials of company owner Mike Bellody. Mike's background as a successful investor has allowed him to partner with the industry's most respected cigar blenders and manufacturers (García family, Manuel Quesada, Ernesto Perez-Carillo), showcasing unique blends and flavor profiles for the die-hard enthusiast. Imperia is the core line for MLB, partnering with famed Master Blender Manuel Quesada and his factory in the Dominican Republic. The name 'Imperia' signifies a coastal city in Italy, and 'AVENTADOR' takes the name of both a famous bull (a 1993 Spanish Bullfighting competitor) and the Lamborghini super-coupe of the same title. 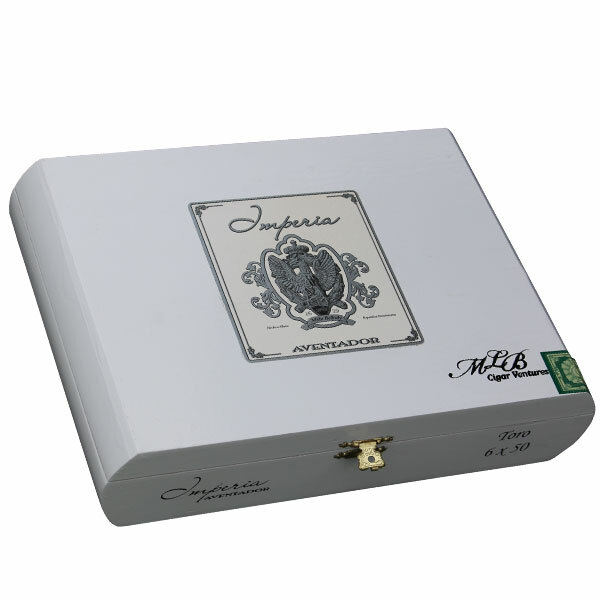 As Imperia AVENTADOR is the third blend in the Imperia series, the cigar showcases a balance of strength and flavor that rests between the medium body of the original Imperia and the powerhouse profile of the Imperia ISLERO. To accomplish this, Imperia AVENTADOR utilizes an Ecuadorian wrapper over a Dominican binder and a filler recipe of Dominican and Pennsylvania Broadleaf tobaccos. This unique blend caters towards zesty spices and pepper flavors, offering a refined strength to balance heavy-hitting flavors of chocolate, earth, Spanish cedar, citrus, and a spattering of grandma's spice cabinet complexities.